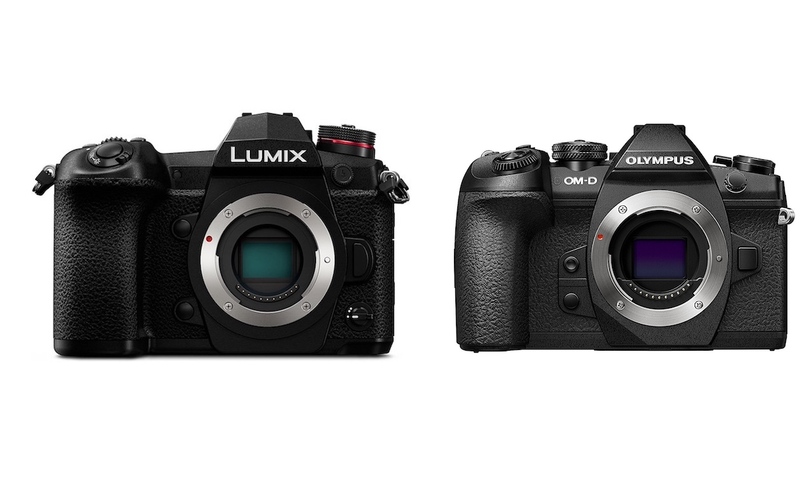 Our Panasonic G9 vs Olympus E-M1 Mark II comparison article is ready and you can check the details of these high-end cameras with Micro Four Thirds image sensors. Panasonic G9 and Olympus E-M1 II has the same sensor size and resolution in Micro Four Thirds worlds. Both camers offer 20-megapixel resolution. We think the Panasonic G9 is a direct competitor of the Olympus E-M1 Mark II. The new camera is a good proof of Panasonic’s answer to target still photographers. The MFT shooter is designed for sports and wildlife photographers. With the G9, sensor shift technology allows you to capture images at a higher resolution of 80MP by moving the sensor. On the E-M1 II the JPG output is limited to 50MP. Another difference between these two cameras is that Panasonic G9’s sensor lacks anti-alias (Low-Pass) filter. The price of Panasonic G9 is almost $100 cheaper than the Olympus E-M1 Mark II. The G9 costs $1,699 while the E-M1 Mark II is currently seeling for $1,799. If you’re looking to upgrade to a camera with Micro 4/3rds sensor, the Panasonic G9 vs Olympus E-M1 Mark II comparison covers all the important specifications of each camera. Here is the comparison of the Panasonic G9 vs Olympus E-M1 Mark II cameras. Some differences like sensor, image size, shooting speed, lcd size etc.. detailed as bold on the table. Provides higher movie framerates for better video recording (4K/60p vs 4K/30p). It has a higher resolution electronic viewfinder for more details (3680k vs 2360k dots). It has an LCD display on top to control shooting parameters. Is somewhat more recent and newer technology inside (there is 1 year gap between the E-M1 II). It has a lower weight (by 84g or 13 percent) and is thus easier to take along. It has been on the market for longer (launched in November 2017). So better price drops ahead for new buyers. Previous post: What to Expect from Nikon D3500 Camera?